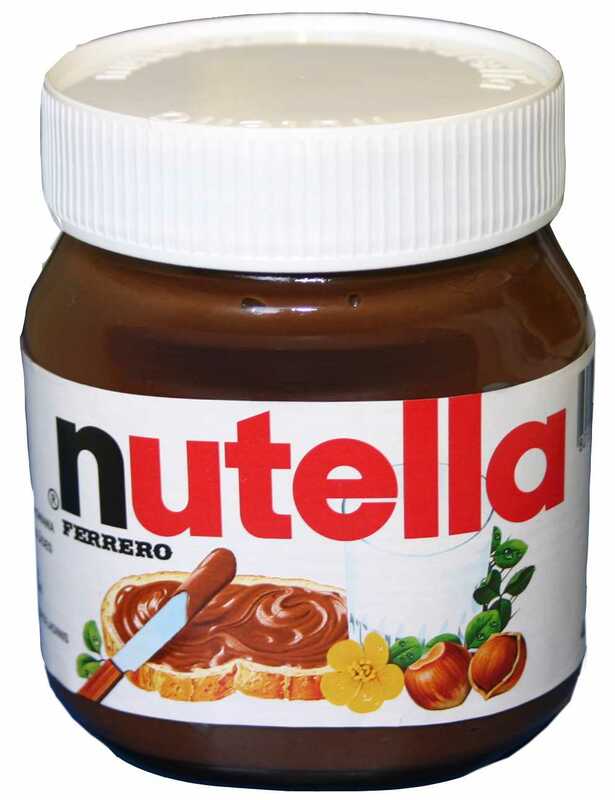 I have been on a Nutella kick lately - we get it at Costco. I mix in in smoothies, make "Nutella sandwiches" (I've heard it is really good with PB), dip strawberries in it, dip pretzels in it and sometimes just spoon it out. What all do you do with your Nutella? I wouldn't call that a problem. It's the solution. And it's great on that Pilsberry french loaf that you bake. It's also great on pretzels. its makes the best panini ever with a great baguette and lot of butter... but add the nutella after the bread is out of the press! What do you put it on?? I have always wondered what that tastes like! Hi, I'm delurking because of this post. My mom used to make PB and "chocolate spread" (what we called nutella) sandwiches. My brother ate one every day for the longest time! Also Giada from Food Network uses it in many of her recipes, including a chocolate gelato that I'm dying to make. So check it out! Lyndsay - go to We Chirp or my food blog, print off the Welsh Pancakes recipe, and use nutella inside them. HEAVEN, I tell you. Heaven. That's how I am with marshmellow cream and cream cheese mixed together. No fruit needed. Just a finger or spoon!